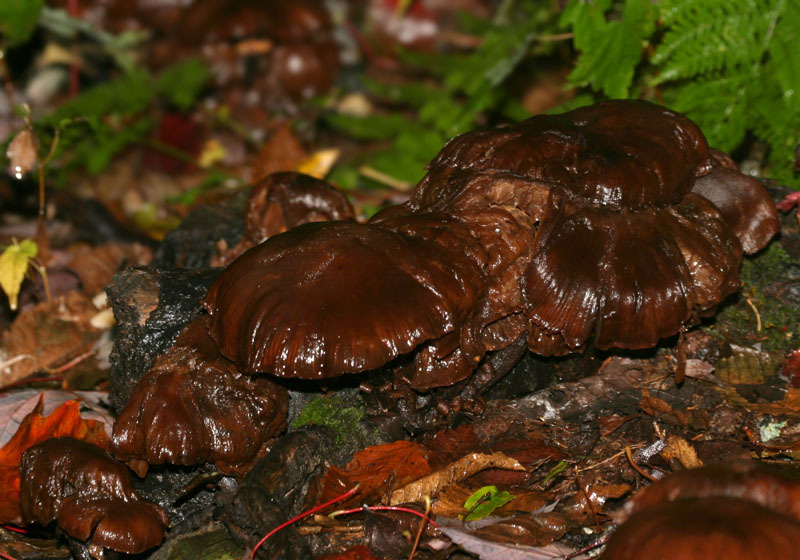 Notes: Xeromphalina? Armillaria sp.? Thety have black stems and pinkish gills.